A fashionable three-in-one style split band diamond ring consisting of a total of sixteen brilliant cut diamonds of various sizes, grain and rub-over set asymmetrically across the top of the ring’s design. 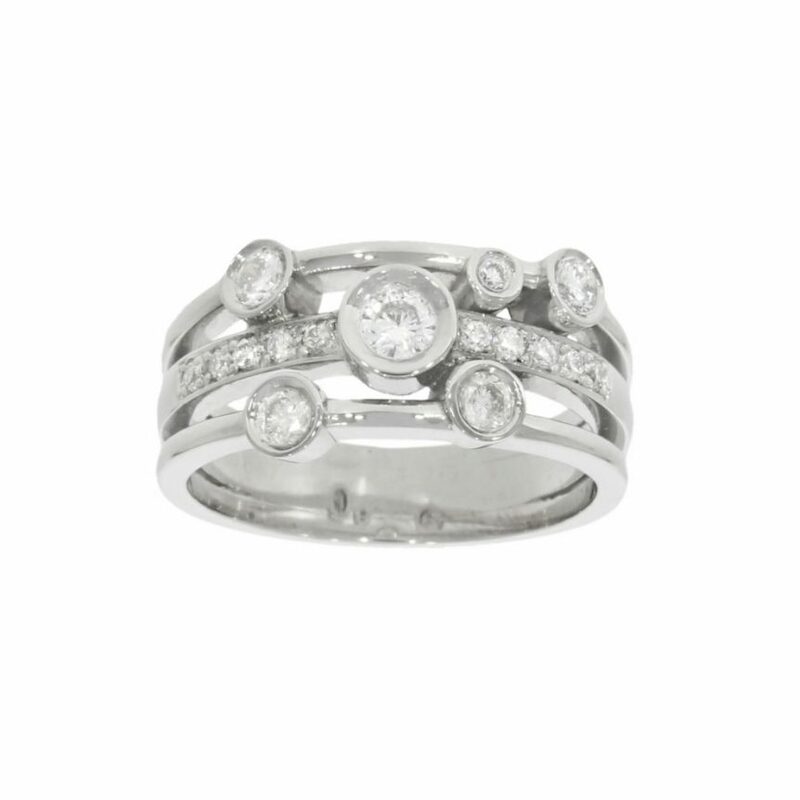 The central band displays the largest diamond with a half-eternity style arrangement of grain set diamonds complimenting the design as a whole. A beautiful piece of jewellery.